By killing Brihadratha Maurya, Pushyamitra shunga became the emperor of shunga empire in 187 to 78 BCE. Pushyamitra shunga ruled for 36 years and there were 10 kings after shunga who handled shunga empire after him. Satavahana empire is the empire of Dakkhan which is now known as Maharashtra state. Satavahana family is the reason for lots of developments in dakkhan. The main centers of dakkhan at that time are paithan and junnar. Pandavaleni which is at Nashik , said to be developed under satavahana empire donations. At the time of Ashoka , Satavahana was the king of Andhra. Medieval History of India is written by magasthenis in the Book named “indica” mentioned about satavahana king. It is mentioned that satavahana has 1.1 million army and 1000 elephants. There were 30 kings in satavahana family and they ruled about 500 years on dakkhan and Andhra. It is at nasik , maharashtra , India. 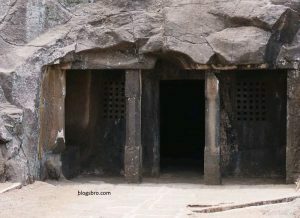 This cave is called as kanha cave cause it is made by king krishna whose hindi name is kanha. 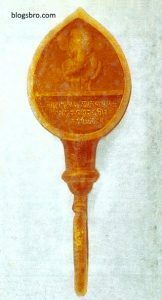 made in the dedication of sramana in 1st century BCE. Kushan empire is mainly in Afghanistan. At the old age, huns have defeated them, this pushed them to the northern part of india. 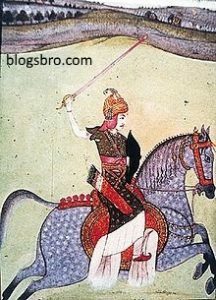 Kanishaka the great is the king of kushan empire. He plays a great role in spreading Buddhism in China and India. 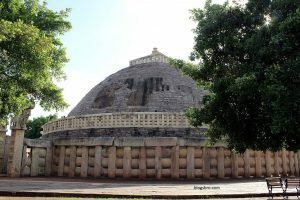 Kanishka is also called as the second Ashoka. This offerings found in a bodh gaya which is at underneath of enlightenment throne of lord buddha. 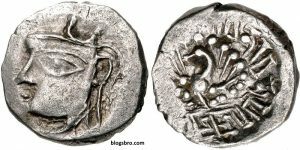 It is the coin of king kushan empire of 2nd century. it is now in the british musium. Shrigupta is the first emperor of Gupta empire. It is being said that at this of era Gupta empire is the golden era of India.in this era fields like science, technology, religion, maths, logic, literature and art became the powerful side of India. Chandra Gupta’s family were expert in archery, which is strongly mentioned in China history too. The arrow of archery made by a strong piece of bamboo and front side is made of iron which is a very strong impacting weapon. Gupta family started building mandirs which represent their belief in Hindu spirituality. kalidas the great poet who is in the poet in second Chandragupta’s court. The great mathematician Aaryabhatta is also born in this era. 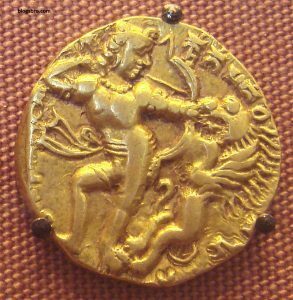 Pure gold coin ,kumara gupta holding a bow . it is mentioned that the kumaragupta is fighting with a lion using his bow. It is said that kamarupa is the name which is formed in the name of god Kamadeva who is the god of kama. This kingdom is located at Asam and divided by three dynasties. Pushyavarman established the varman dynasty, but his son samudravarman who is later known as sumudragupta after accepting Gupta empire. After the last king of varman dynasty bhaskaravarman’s death, his governer salasthamba established new dynasty named as mlechchha dynasty.It is now known as Tezpur. After the death of the last king of mlechchha dynasty, the great leader of bhauma family was elected as king. Pala kings ruled for nearly 200 years and the last pala king is jayapala (1075-1100 CE). The name palava came from pallava king who is originally Hindu and his speaking language is Tamil. Most of the time in their dynastic period they had war with chalukya, cholas, kadambas and kalabhras. Pallava is better known for their firm constructions, they build lots of mandirs in India. In the very less period, they build a huge amount of construction and respect. 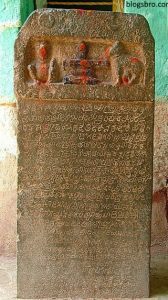 One of the pallava king insulted kadamba hence kadamba family who was bramhins at that time decided to rule in banavasi. The two impact kings mayursharma and Krishna Varma second established the base of kadamba. It is established from the name of harshawardhan emperor. When he became king, his age was just 16 he ruled near about whole upper area of India which contains Jalandhar, Punjab, Kashmir, Nepal, and vallabhipura. He ruled about 41 years. Banbhatta, haridatta, and jaysen is the writer and poet in his court. 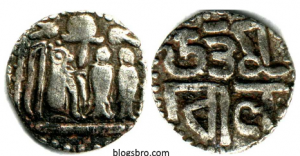 It is the coin of king harshavardhana . on the left side it is the head of king harshavardhana and at the right side of the coin it is the garuda . Chalukya were the Kannada speakers and their main kings are pulkeshi, Vikramaditya, and kirtivarma. 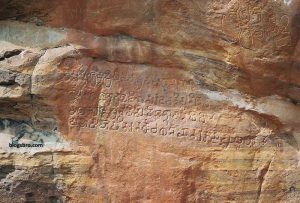 In the chalukya empire, their main centre is badami. In the area pattadakhal which is popularly known as raktapura (because of its red hills). Ajintha and verul leni is made in the age of rashtrakuta empire. Here are some of the list of rashtrakuta empire kings. It is the Buddhist dynasty and established by king Gopala. After Gopala there were two popular kings Dharmapala and devapala. They extended pala empire at its best. Dharmapala constructed vikramashila which was the first university of India. Nalanda University is constructed here in pala empire. Nalanda is one of the most developed universities of all the time. 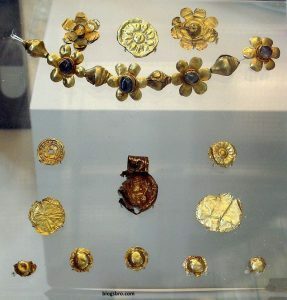 Left: with Lakshmi Narayana (Bangladesh or India’s West Bengal state), Pala period, 11th – 12th century Sheel with silver additions Middle: India, Pala period, ca. 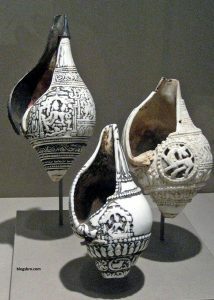 11th century Shell Right: India, pala period, 11th century or earlier Shell. This was India’s most long time ruled empire. The beginning of chola empire is started at kaveri river bank. The Two kings Raja Raja Chola And Rajendra Chola are listed one of the greatest kings in Medieval history of india.They ruled in India Srilanka, Bangladesh, Burma, Thailand, Malesia, Cambodia, Indonesia, Singapur, and the Maldives. Their mother tongue is Tamil, and the center of their empire is tanjavar. These are the most ruled empire on dakkhan. 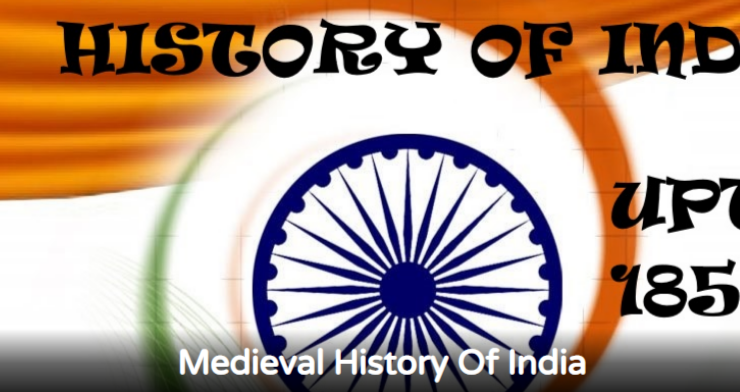 After the Chalukyas who ruled in the 6th century, the Chalukyas were back at 10th to 12th century and they ruled on the western side of India this is why they are called western chalukya empire. The traditional architectural culture is the gift of western chalukya empire ,there are lots of evidence of this era. 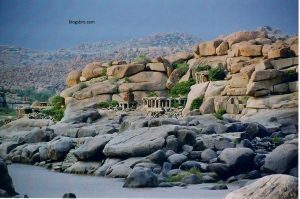 Since their mother tongue is Kannada, they lived in the river bank of Tungabhadra. It is written in the book chach nama that, at the starting of 8th century Muhammad bin Qasim defeated Hindu king of Singh raja Dahir. Muhammad bin Qasim was an Arab Muslim who conquered Indus region which is now in Pakistan. Muslim traders came from an Arebian side in small numbers. Suhaldev of Sravasti is killed by ghazi saiyyad salar Masud. Ghaznavids are said to be Turkish which is established by sabuk tigin who was stated as a king after the death of his father in law. The son of sabuk tigin mahamud gaznabi expanded his kingdom to Indus river. After the defeat of Masud I In 1040 CE he only had Afghanistan, Baluchistan, and Punjab. Hindu kings which were in the Kabul valley were declined from kushan empire. They divided into two eras which is hindu and Buddhist. The Hindu Shahis under jayapala were dominated by Ghaznavids. The jayapala in his era has lost lots of war with ghazni. He gathered a huge force in Punjab and attacked once more on Ghazni empire but still, he was defeated by powerful Ghazni army.After all of this defeat jayapala committed suicide and his son anandpala succeeded after jayapala. He is also unable to dominate ghaznavids. It is established by king harihara in 1336 and ended in 1646. In this big period they had 4 dynasty sanagama dynasty ,saluva dynasty , tuluva dynasty, and arvidu dynasty. Center of vijaynagar empire was Humpi. They are total 5 brothers , maharashtra was conqured by harihara, second brother was kampa who is ruling udayagiri, third brother bukka had halebid and the forth brother is ruling Arag state and fifth brother was the precedent of the bukka king army. It is established by Babur in 16th century. His son humayun lost all of babur’s empire in the war with shershah suri. Humayun has been in the jail for 14 years. but after that he was successfull to take empire back from shershah suri. At the age of akbar the mughal empire was on its peak ,they conqure baluchistan and nepal. After the death of aurangzeb in 1707 mughal empire is declined and lost its all powers. In the year 1857 british took over mughal empire and established british empire all over india. Maratha Empire is established by Shivaji Maharaj . Shivaji Maharaj is known as one of the great and smart king of all over the world. The term maharaj means king of the king. 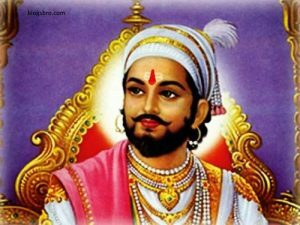 After him Sambhaji Maharaj was the second chattrapati of maratha Empire. In this era mughal emperor Aurangzeb was the king of mughal empire , he was the biggest enymy of shivaji maharah and sambhaji maharaj. But, fortunately aurangzeb cant able to even damage maratha empire. Aurangzeb’s dream of conquer maratha empire remained dream. After the death of aurangzeb mughal empire declined. maratha empire kings handled by peshwas till 1818.